When your PC happens to BSOD, such as the Bugcode USB Driver error (0x000000FE), it will restart automatically for the purpose of preventing your PC from being damaged. People are discussing how to solve this Blue Screen of Death related to USB driver. But few have effective solutions to remove it from Windows 10 completely. This thread would give you’re the answer. How to Fix Bugcode USB Driver Blue Screen on Windows 10? With regards to this BSOD error caused by the Bugcode USB driver, the incompatible or outdated drivers, erroneous power saving settings relevant to USB settings and hard drive are to blame. In the presence of these errors on Windows 10, it is no doubt that it will crash and run into BSOD with the issue Bugcode USB driver. Now move on to resolve this system crashing error in view of the causes on Windows 10. It can be the most powerful and efficient way to solve the Bugcode USB driver BSOD issue. If your screen goes into blue suddenly accompanying with the Bugcode USB driver error, the most related device drivers are Display drivers, video card driver, chipset and network drivers on Windows 10. 2. Pinpoint Display Adapter and right click the Graphics card driver to Update driver. 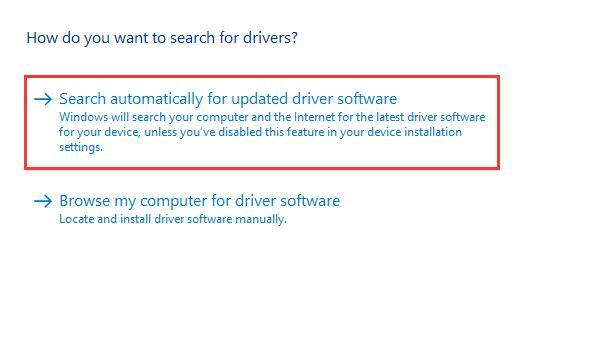 Here you can also decide to update the network driver under Network adapters and many other drivers in device manager. 4. Windows 10 would search online for the display drivers for you so as to tackle the BSOD issue. 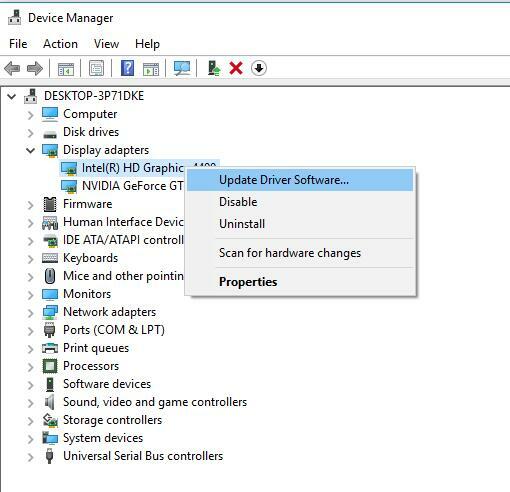 If it can automatically install the updated driver for your video card, chipset, and network adapters, you are able to fix the Blue Screen of Death caused by Bugcode USB driver error, either. Now that your Blue Screen of Death error is closely related to the USB, you can see all the settings concerned with USB can be the culprits. Among them, the advanced power setting regarding USB is most likely to cause your computer to crash in Blue Screen of Death. 1. 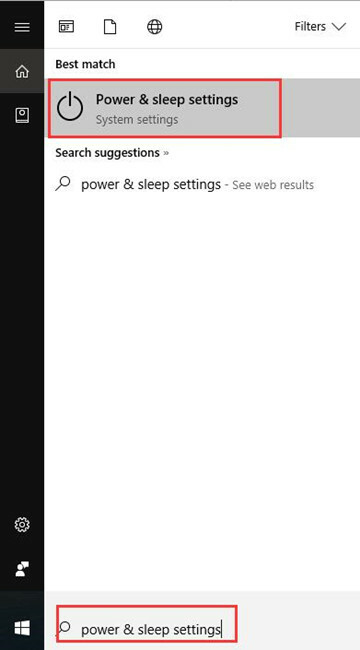 Type in Power & sleep in the search box and stroke Enter to go into Power and sleep settings. 2. 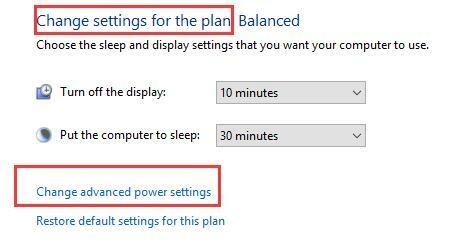 Under Power & sleep, click Additional power settings. 3. Then go to Change power settings next to your power plan. 4. 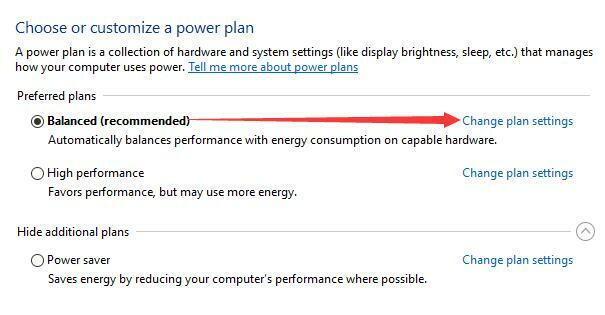 Choose to Change advanced power settings. 5. 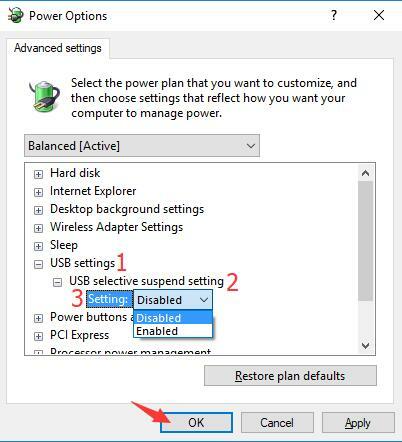 In Power Options, locate and expand USB settings, then open USB selective suspend settings to Disable At last, click OK to save changes. 6. 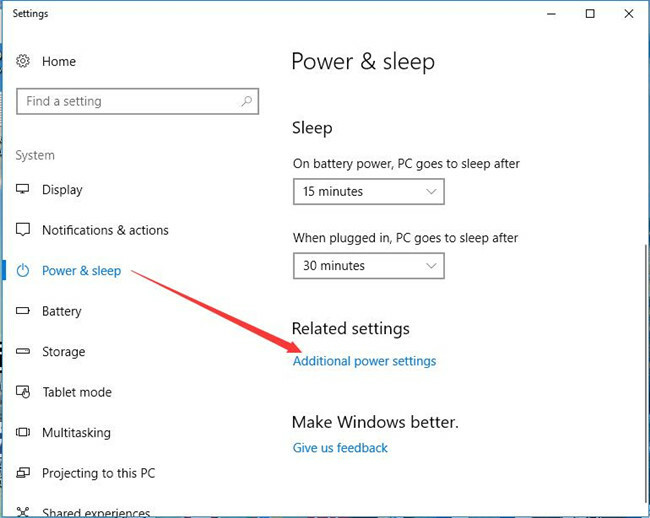 Close Power and sleep settings and reboot your computer. You can know when login in Windows 10 if there are any error showing you on the screen saying it is a Bugcode USB Driver Blue Screen error. 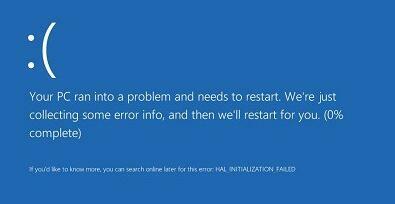 Disk errors can also give rise to BSOD issue caused by Bugcode USB Driver. 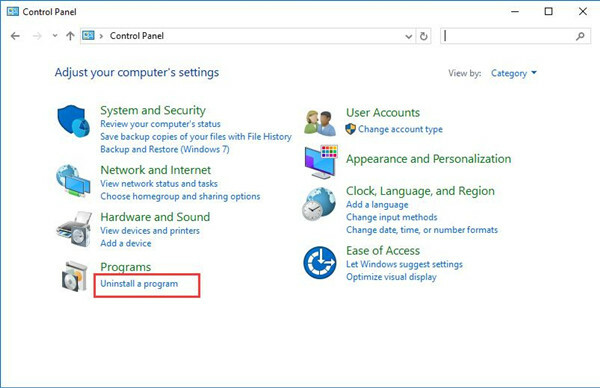 So you can choose to use the Windows disk checking tool-chkdsk to make sure there is not any problem with your hard drive disk on Windows 10. 1. Press Windows + R to activate the Run. 2. Type in cmd in the box and hit OK to enter the Command Prompt. You need to make sure you are logging on to Windows 10 as administrator. 3. 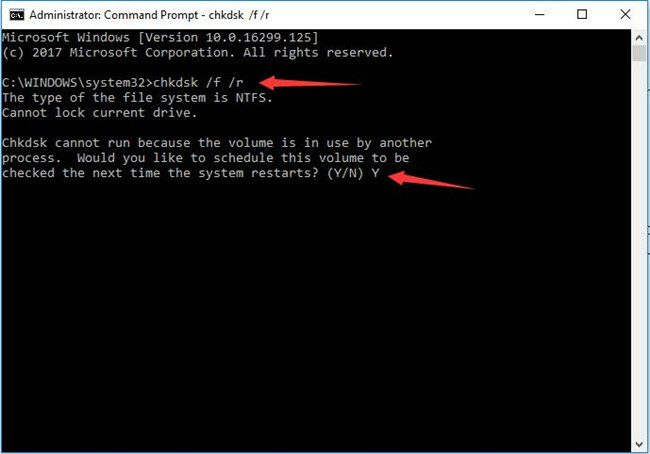 Input chkdsk c: in Command Prompt and stroke Enter to perform this command. Then you can find disk checking tool will be scan for your PC disk. 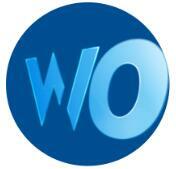 In this way, the corrupted file in the disk can be corrected. And your Bugcode USB driver Blue Screen of Death can disappear. For Windows 10 users, you can update your Windows system regularly, such as the Creators Update 1601, 1709. What‘s more, the updated Windows usually possesses new features enabling you to make better use of Windows 10. It can also recover some bugs for your PC, such as the Bugcode USB driver Blue Screen error. 2. Under Windows Update, click Check for updates. 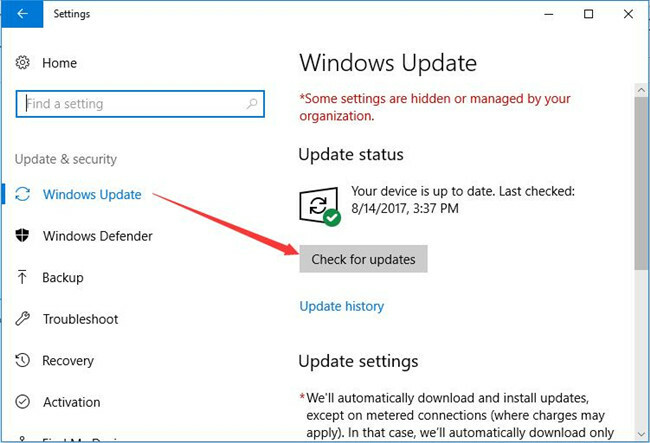 Then you can see Windows 10 is checking for update for you, if there are any, it will download the updates for you automatically. After the update, you can restart your PC to take effect. Hope the newly installed Windows can help you fix the BSOD problem led by Bugcode USB driver on Windows 10. To make sure it is not the third-party software bringing your computer into Blue Screen with the error Bugcode USB driver, it is advisable you try to remove them. 2. Choose to View by Category and find out Uninstall a program under Programs. 3. In Programs and Features, right click the program (the third-party software or recently installed) to Uninstall. At the moment you start your computer again, the bugcode USB driver Blue Screen perished. BSOD errors are common on Windows 10, and it can cause your PC not working. That is why you are supposed to take measures to remove it from your computer as soon as possible by referring to this post.